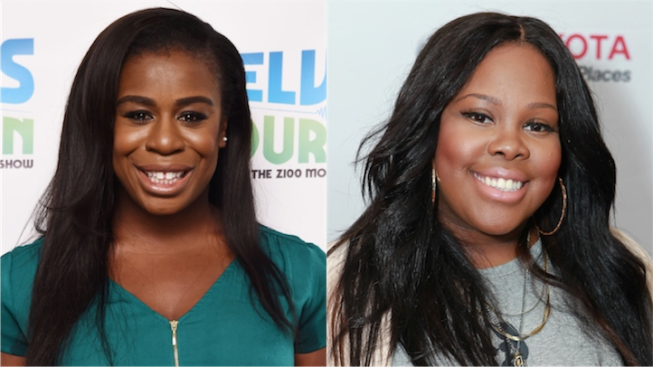 Uzo Aduba and Amber Riley will play witches in "The Wiz Live!" An "Orange Is the New Black" favorite and a "Dancing With the Stars" winner will be joining "The Wiz Live!," NBC announced. Uzo Aduba, known for her role as Suzanne "Crazy Eyes" Warren in the hit Netflix show, and "Glee" star Amber Riley were both cast in the live musical set to air on NBC on Dec. 3. Aduba, who appeared on Broadway's 2011 revival of "Godspell," will play Glinda the Good Witch of the South. Riley, meanwhile, will play Addaperle, the Good Witch of the North, who points Dorothy down the Yellow Brick Road toward the Emerald City. They join previously announced stars Queen Latifah, who will play the Wiz, Mary J. Blige, who will play the Wicked Witch of the West, and David Allen Grier, who was cast as the Cowardly Lion. Stephanie Mills, who played Dorothy in the original Broadway production, will take on the role of Auntie Em, while New Jersey native Shanice Williams will star as Dorothy.